Though most guys would feel lost without their smartphones, internet-ready phones have also become some of the most coveted electronics for youngsters. Chances are that your son or daughter considers these pricey accessories to be as much of a necessity as food on the table and a roof over his or her head. However, for many parents considering the purchase, the cost of the product is not the deciding factor, but rather how to manage their child's use of the device. In today's society, 75 percent of American teenagers have their own cellphone, reports Roni Caryn Rabin of The New York Times. In most cases, parents have purchased the devices so they can stay in constant communication with their child. Of course, aside from the time spent on the internet, many parents are worried about the content that their youngsters are seeing. 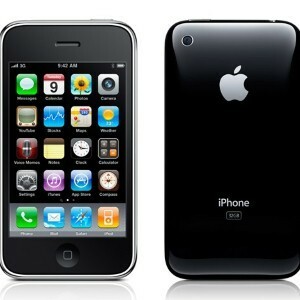 Some companies, such as Apple, provide parental control settings on the iTouch and iPhone. These tools may allow parents to filter out inappropriate sites from their child's search results. Finally, the hardware itself: Try as we might to tell our children to hold onto certain items, many aren't old enough for such a responsibility. It may be best to take stock of the situation beforehand in order to prevent your little one from misplacing his or her new gadget and losing the money you spent on the device.